Montreal is Quebec’s culinary and cultural capital, offering visitors with a fancy for the French an opportunity to experience an urban metropolis that celebrates its dichotomies. The city of contrasts is celebrating its 375th anniversary this year, making it easier than ever to enjoy: marvel at Old Montreal’s jaw-dropping historical architecture while sleeping just steps away at the trendy W Hotel, or dig in to a traditional Quebecois tourtière for lunch before spending the evening feasting on nouvelle cuisine inspired by the city’s multicultural kitchens. Montreal offers globetrotting gastronomes a smorgasbord of locally produced Quebecois drinks and dishes. The city’s first craft brewery opened in 1987, and today Montreal plays home to over 35 hop-head cathedrals, making it one of North America’s true beer meccas. For over 20 years Montreal has hosted the biggest beer festival in Canada, proving Montrealer’s have a clear passion for a sud-sloshed party. 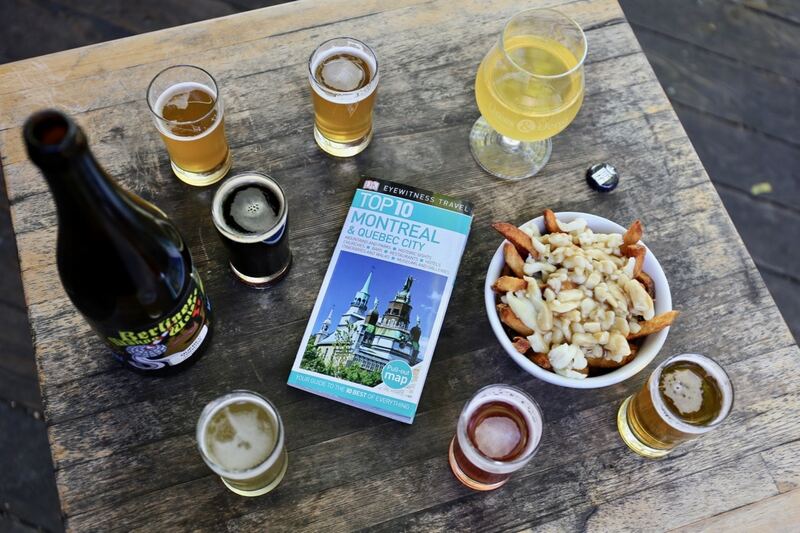 If you’re a craft beer fan looking to explore Montreal for the first time, research your trip in advance using the recently updated Eyewitness Travel Top 10 Montreal & Quebec City (DK Publishing, 2017). The pocket-sized guide features handy lists which include Montreal’s must-see attractions as well as niche lists including top historic sites, fantastic festivals, and bustling bars & cafés. I’ve been to Montreal several times, and on my recent trip I made a point of taking my time to uncover the city’s craft beer gems. 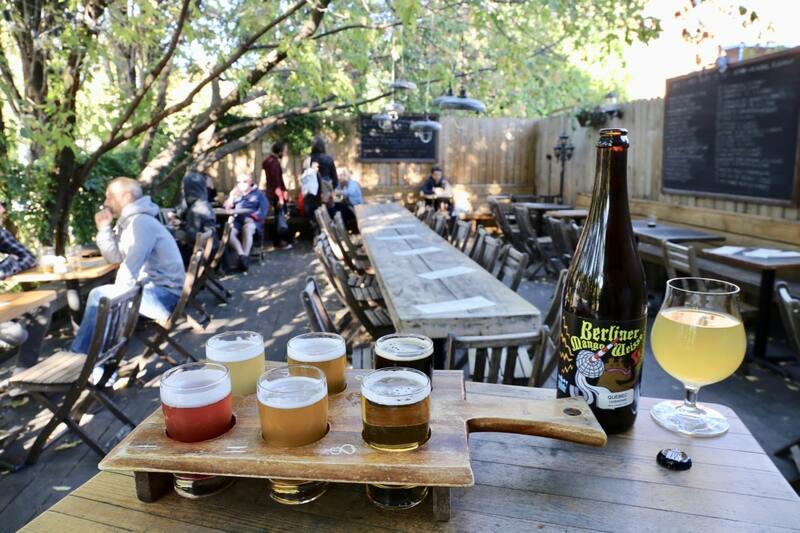 Montreal’s most celebrated breweries are dotted across the city, so I made sure to read up on each neighbourhood so I could pop by a trendy café, bask in the sun for a hot minute in a pretty park, or wander through a stained glass–adorned church between each swig and slurp. At Isle de Garde Brasserie you’ll find an inviting dining room featuring exposed brick walls and a winding black metal staircase. 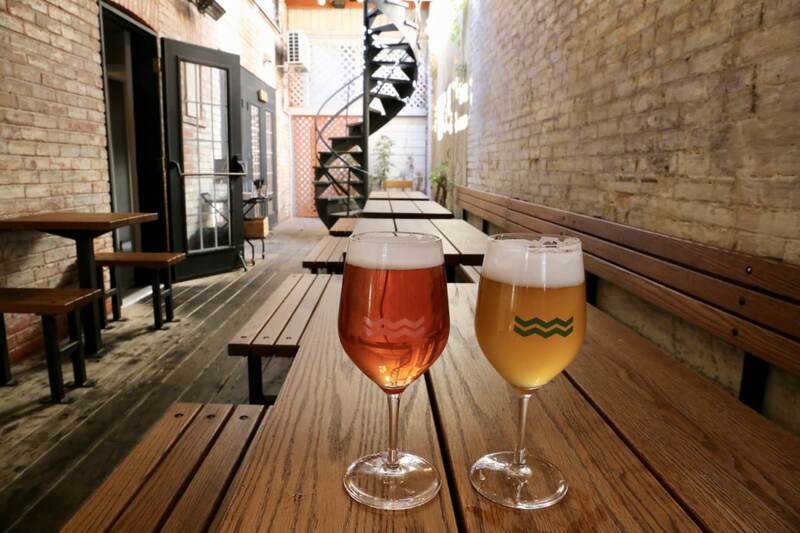 Grab a spot on the sun-soaked patio overlooking bustling Beaubien and sip through a slew of creative craft brews including the popular Original IPA Session and American Brown Ale. Highlights from the kitchen include gnocchi with wild mushrooms, salmon tartare with soya and ginger, and tarte tatin with tomato confit and goat cheese. Vices & Versa is one of Montreal’s granddaddies of craft beer, credited for coaxing folks to sip something outside of the box back when watery pilsners were all the rage. Today the popular brewpub pours an eclectic collection of craft beer from 40 taps. The back patio is one of the best in the city and feels like a community centre for craft beer nerds. It’s best to order a flight of brews so you can sample what the day’s freshly tapped kegs have to offer… you never know, you may find a new favourite. If you’re visiting in the evening, treat yourself to the kitchen’s iconic beer poutine and enjoy live music from a local band. Brasserie Harricana is a millennial pink-lovers’ dream (feel free to gawk at the vintage chairs in the dining room which scream “sit on me”). The trendy spot opened just three years ago and is a transplant of sorts from the family’s original restaurant in northern Quebec. The brewmaster here is always tinkering with new recipes, adding loose-leaf tea or wine grapes so new brews hit a high note. There are also barrel aged-beers, which after months of hibernation reveal a seriously sublime slurp. The kitchen is known for offering the best-value lunch deal in the city, featuring a glass of draft beer and a hot buffet for just $17. The à-la-carte menu features old family recipes, many of which are Quebecois favourites such as creamy devilled eggs and an epic tourtière with sweet maple beans and house-made pickles. Montreal’s most recognized craft beer brand is Dieu du Ciel. 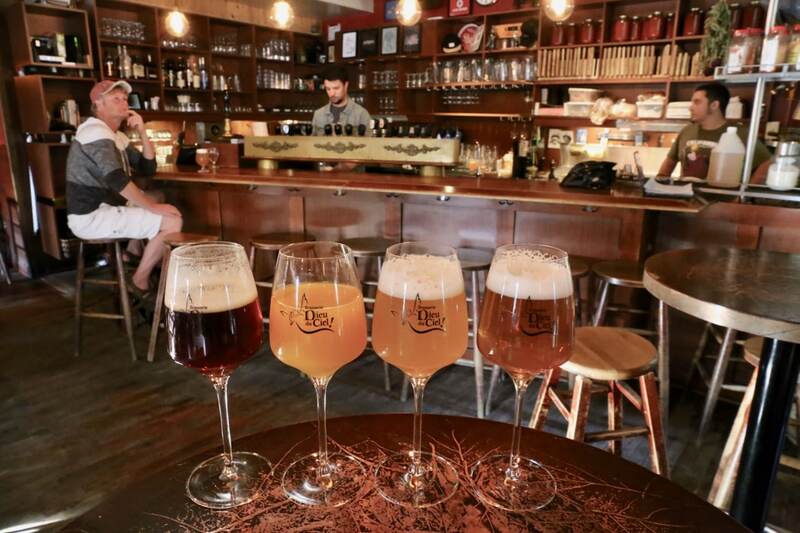 For those looking to sip at the iconic brewery where hibiscus beer became a thing, be sure to swing by the intimate original location on Laurier. Dieu du Ciel is one of the last remaining OG craft breweries in Montreal, credited with expanding Quebec’s notion of what a good beer really is. Hop up on one of the stools at the bar and you’ll find a collection of tiny tanks that produce one-off specials only available on site. Swivel in your chair and study the massive blackboard to see what’s on tap that day. Highlights from my parade of sudsy glasses include a phenomenal Framboise Sour, a best-for-brunch Mango Sour Wheat, and an Ultra Mosaika Pale Ale. 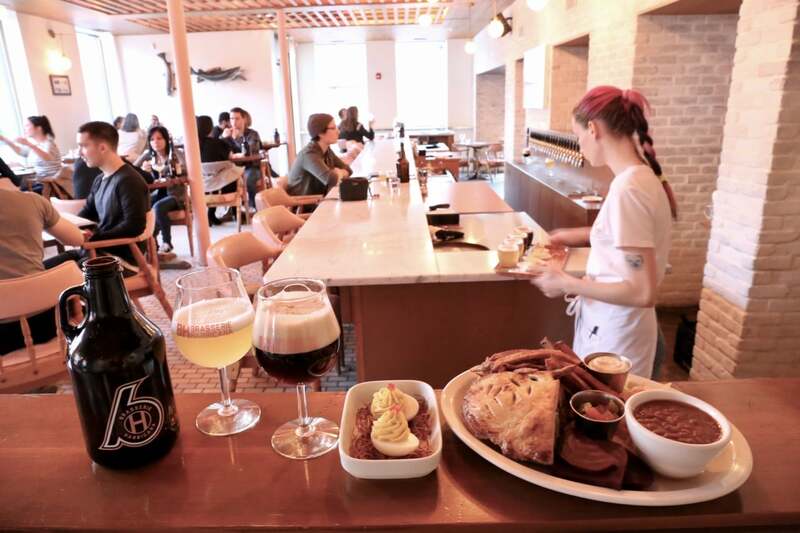 Located just a stone’s throw from the impressive Notre-Dame Basilica in Old Montreal, Bistro Brasserie Les Soeurs Grises offers a casual pub menu and nine lines of house-made beer. 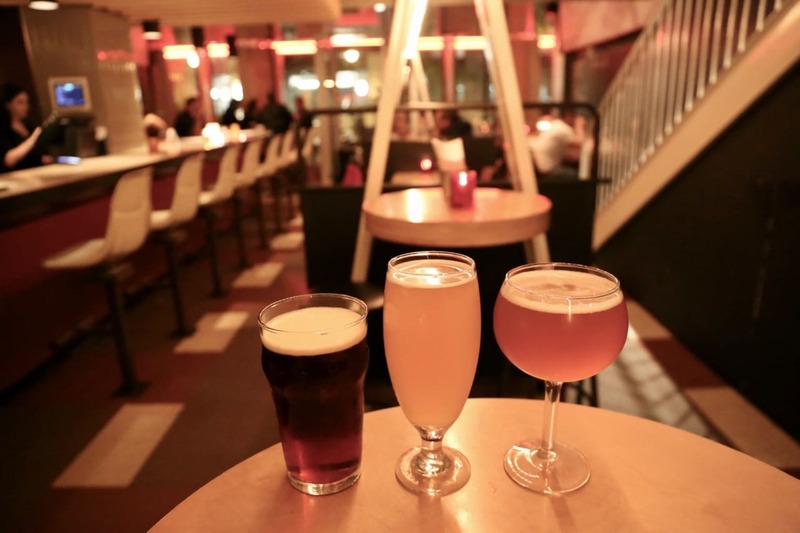 The artisanal microbrewery is located in a building that was once the property of Montreal’s Grey Nuns (hence the name) and offers a cozy historical space to sip in the city’s most touristy neighbourhood. Memorable thirst quenchers on draft include Daisy Blonde, Camellia White, and Marquis de Vaudreuil Amber.